O’Donnellan & Joyce auctioneers has recorded a record number of private sales in the first quarter of 2018. More than 100 properties have been brought to the market within the past 18 weeks, all of which are now sold. The private sales department within O’Donnellan & Joyce have noted there are particular areas within the city such as Salthill, Renmore, Knocknacarra, and The Claddagh, attracting strong interest and demand. Areas such as Salthill and The Claddagh have always been extremely popular with buyers due to their location. Salthill and The Claddagh are very established areas with a large number of quality homes within mature and settled estates. Salthill also offers a two mile stretch of promenade overlooking Galway Bay, while The Claddagh offers a short stroll to either the city centre or Salthill, with all amenities on its doorstep. The prices currently being achieved for three and four bed semidetached properties in this area range between €350,000 and €400,000. Knocknacarra, which mainly comprises residential homes, has witnessed a large amount of construction within the last 20 years. Knocknacarra was always and still is a popular area for first time buyers; properties are currently selling very quickly within Knocknacarra, with an average turnaround of six to eight weeks, from coming to the market to closing. Alan McKenna of O’Donnellan & Joyce commented: "Once a property within this area comes to the market, there is very little time to delay for buyers. Current trends have shown that people are bidding within five per cent of the asking price." The areas of Shantalla, Newcastle, and Rahoon continue to witness price increases and are of particular interest to investors due to their close proximity to NUIG and UHG, as there will always be demand for rental accommodation in this locality. According to Ronan Lyons of Daft.ie prices increased in Galway city by 3.1 per cent between the first three months of 2017 and the same period in 2018. In Galway county, the increase was 11 per cent. This increase is not surprising; according to Shane McDonagh of O’Donnellan & Joyce: "There has been a huge increase in the volume of properties being sold within a 20km radius of the city, including areas such as Headford, Furbo, Moycullen, Athenry, areas within the commuter belt of Galway city, and also Limerick city with the introduction of the M17. The demand within these areas is increasing all the time. Oranmore and Tuam will also be ones to watch for the future as we expect to see the construction of new homes and the population within these areas increase." Galway’s property investors have changed over the past number of years, with the short supply of rental properties for students, their parents have become the new investors for 2018. Parents have become a huge part of the investor market within Galway city, purchasing properties for their student children. This has many benefits — the students have accommodation, the parents are paying off their mortgage rather than paying rent, plus with properties within the city boundaries there is always a guarantee of a rental market, making it a promising investment for their future and retirement. Other investors coming on to the market are buyers with self-administered pensions. These investors are using their self-administered pensions to purchase properties, which allows them make a return on the rent. Also, there is a younger generation of investors controlling their risk for the future by investing now and protecting their future. There has been an increase in demand for commercial properties for rental and purchase. Commercial rentals have not seen a rental increase in more than 15 years, this will be something to note as rent reviews will be occurring in the near future. Galway city commercial properties are seeing yields of six to seven per cent annually and are on the increase with blue chip tenants. O’Donnellan & Joyce recently sold a large commercial unit for €1.4m with yields of 6.5 per cent with a sitting tenant. Tony Joyce of O’Donnellan & Joyce said: "There is definitely a shortage of commercial units in the city centre and demand is increasing all the time. This is something that needs to be considered going forward." New homes in the city and county have experienced huge demand. Niall Browne, who heads the private treaty and new homes department at O’Donnellan & Joyce, said: "Demand for new homes is at its highest at the moment with buyers falling head over heels in love with the design and energy efficiency of the new homes coming to the market." Mr Browne gave a brief summary of the company's main new developments throughout Galway. Burkeway Homes sold its Maoilin development, located on the Ballymoneen Road, within moments of its launch, with unprecedented demand for these striking A rated family and first time buyer homes. This development, which is reaching closing stages, really has set the standard for new homes in the city. Developers Michael Burke and Fred Fullard were cognisant with their design in making these homes suitable for families, with the construction of an amphitheatre style seating area overlooking two play areas, two high grade playgrounds, and a pavilion. Cuirt Cheirin, Circular Road, has witnessed a surge in sales in recent weeks with five houses sold last week alone. The estate offers luxury bespoke detached high end family homes. The design and finish both internally and externally are hugely popular with families moving to these A rated homes. The project, which is led by Darren O’Regan of Renaissance Construction, is certainly proving popular with just four houses remaining. O’Malley Construction is currently building in Roscam and has also sold out all of its initial phases. O’Malley Construction, of course, is recognised not just locally but also nationally for building exceptional homes. The company is launching a further phase very soon and again it is expected that these will sell out rather quickly. 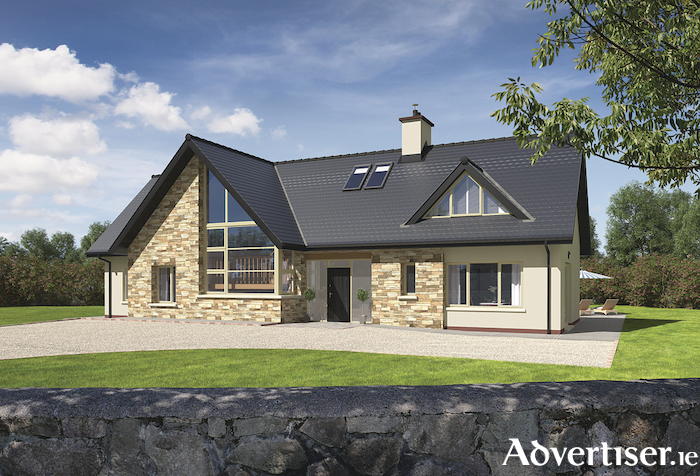 JRBOC is constructing a stunning development in Craughwell, with homes being snapped up by first time owner occupiers. This is a small development of high end quality homes. The final phase will launch this summer and, considering their affordability and close proximity to Oranmore (12 minutes ), it is expected to sell out quickly. Niall Browne said he is preparing to launch developments in other areas across the city and its environs including Furbo, Barna, Salthill, Roscam, and Clarinbridge. These developments will come on stream in the coming months. Overall the outlook for the property market within Galway city and the commuter belt areas is extremely positive. As you can see the demand and value continues to rise and this is mainly due to the lack of supply, but also due to the economic growth the country is currently experiencing. Galway is a vibrant and popular city that continues to attract multinational companies, contains a large student population, and this will in turn will always create demand for property from both owner occupiers and investors. For details of properties currently on offer by O’Donnellan & Joyce, visit www.odonnjoyce.com or call into the offices at 5 Mary Street, Galway.